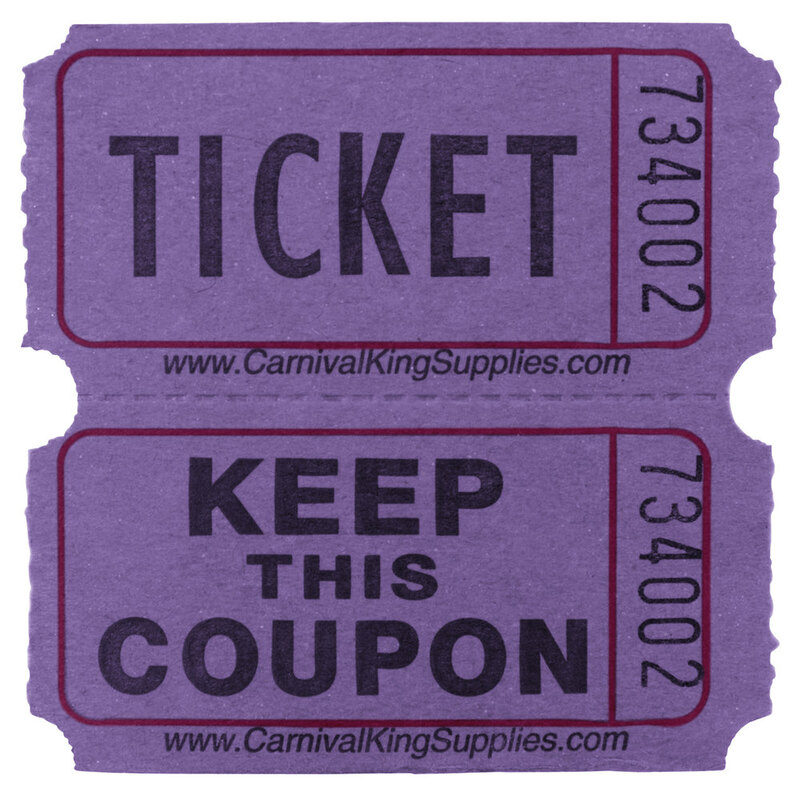 Perfect for anything from casual raffle fundraisers to upscale corporate events, these Carnival King 2-part purple raffle tickets are just what you need to keep your next raffle fun and organized. Eye-catching purple coloring is accented by bold black lettering with "Ticket" and "Keep This Coupon" imprints. Each double ticket measures 2" x 2".